In addition to being more active and sticking to my work outs this year, I am also making sure to eat healthy. I used to be really good with eating healthy but slipped up this past year… so, I am determined to get back on the clean eating wagon! I used to follow all kinds of healthy eating blogs and have been going back to them to get recipe ideas and inspiration. Just because I am making sure I eat healthier now doesn’t mean I can’t enjoy sweets and desserts. You never want to deprive yourself of anything but that doesn’t mean that desserts have to be unhealthy! I actually found this healthy chocolate fudge recipe on instagram as I was scrolling through the Best of Vegan page. 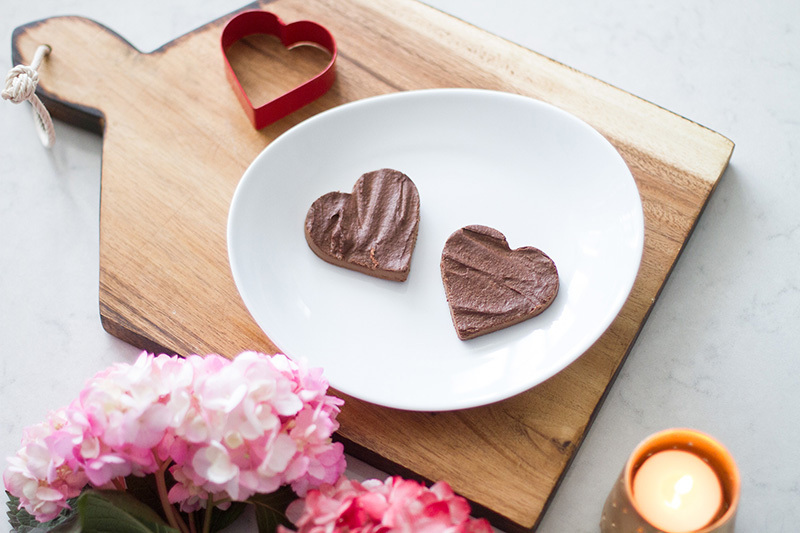 It’s by Chocolate Covered Katie, who has tons of healthy chocolate recipes on her blog. So if you love chocolate, definitely go check out her recipes. 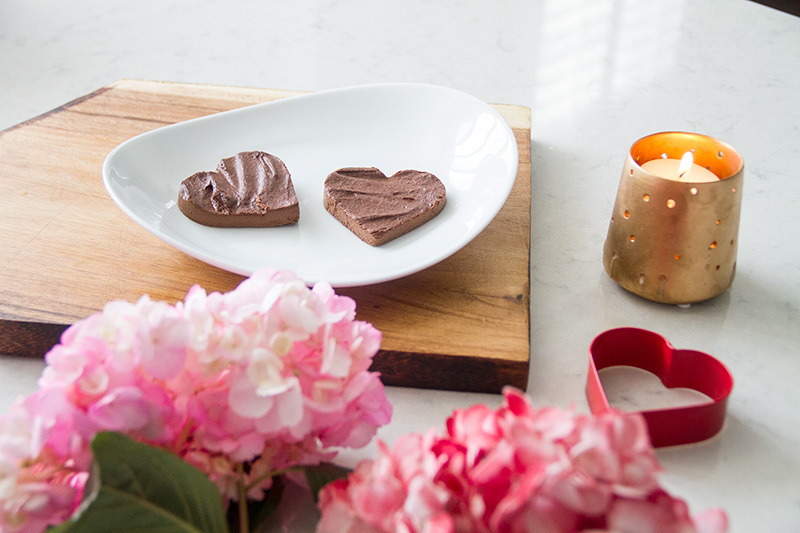 Since it is Valentine’s day weekend and all… I decided to cut up the fudge pieces into hearts by using a cookie cutter. They’ll make a nice little treat after dinner if you plan on cooking at home. You can also pour the chocolate over a pie crust and make a pie out of it! Blend everything together in a blender. Spread into a springform pan. Refrigerate overnight, or freeze for a few hours. The cake will keep in the freezer for weeks. Just be sure to thaw at least 20 minutes prior to eating.